Rent The Cotton Room | Corporate Events | Wedding Locations, Event Spaces and Party Venues. In addition to being the perfect holiday party venue or serving as the ideal location for corporate gatherings, the Cotton Room has become one of the premier wedding venues in Durham, Raleigh, Chapel Hill, and the surrounding areas. • The space offers a blank canvas accommodating up to 440 guests for cocktails and 375 guests comfortably for formal dinners. 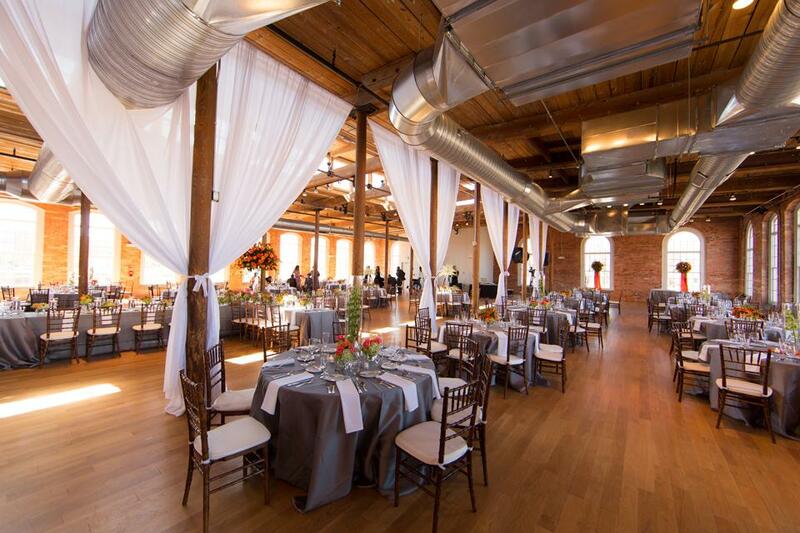 • Floor-to-ceiling windows surrounding the venue, allowing natural light to bring out the warmth of the tall ceilings, brick archways and beautiful hardwood floors. • We are an all-inclusive wedding venue, providing all food, beverage, service staff as well as furniture, decor, floral and more!